At the TRABOLSI | LEVY | GABBARD LLP , law firm in Santa Monica, California, we offer a comprehensive range of family law services to help our clients during what is likely a very difficult time in their lives. Trained in mediation, we can help you resolve your dispute and reach an agreement without the need for court intervention. Should litigation be necessary, however, we will fight hard to protect your rights and best interests while working to achieve the most favorable outcome on your behalf. Several of our lawyers are certified family law specialists by The State Bar of California Board of Legal Specialization, and together, we possess decades of legal experience. Widely regarded as some of the top family law attorneys in the country, our lawyers have won numerous awards and honors for their exceptional service and impeccable professionalism. This means that you can expect to receive the highest level of advocacy possible for your situation regardless of the complexities or challenges involved, and we will always treat you and your family with the compassion and respect you deserve. 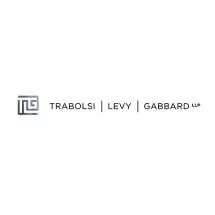 To find out more about how TRABOLSI | LEVY | GABBARD LLP , can best serve you during your time of need, you can contact our law office or visit our website to schedule an initial consultation.